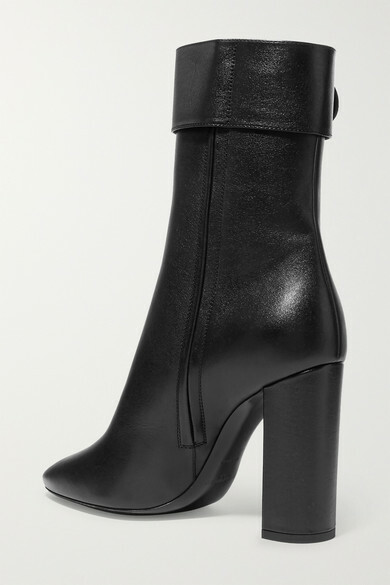 Janis Joplin once sang a cover of Nancy Sinatra's song 'These Boots Are Made for Walkin'', and we can only assume she would've done so in a pair like Saint Laurent's style, which, are named after her. 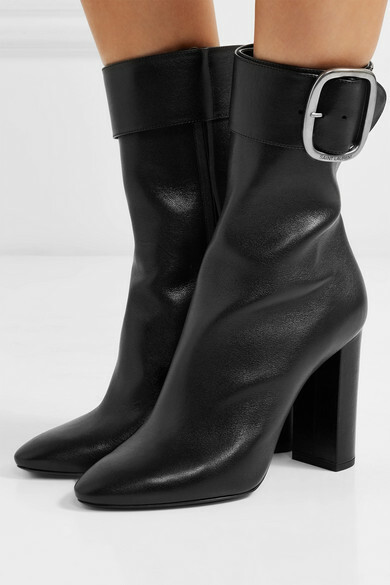 Made in Italy from smooth leather, they rest on a 105mm block heel and have an oversized buckle at the ankle. 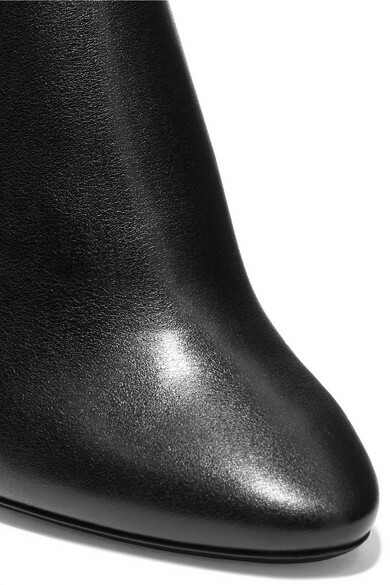 Style them with a mini dress and 10 denier tights. Shown here with: Saint Laurent Dress, Saint Laurent Shoulder bag, Wolford Tights.